It's Friday, which means the week is almost over and that it's time for The Converse Blog's Friday Flashback. I like to show stuff that maybe you haven't seen, or at least haven't seen in a while. 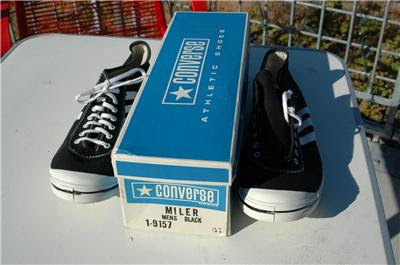 Today's flashback is of a shoe that Converse can never ever make again. You'll see why in the pictures below. 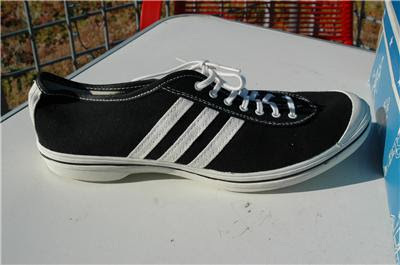 No, you're seeing it correctly, those are three stripes but they're not Adidas. 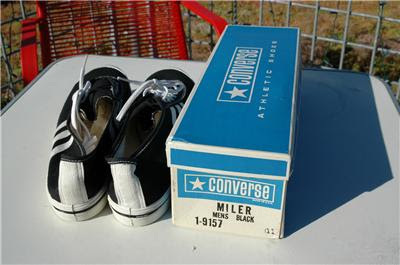 Going by the box pictured below these are pre-Eltra era Converse which probably puts them in the 50's or 60's. 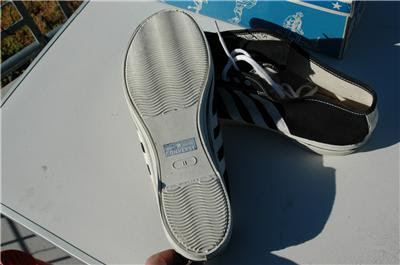 My guess is that at that time Adidas had not trademarked the three stripes. 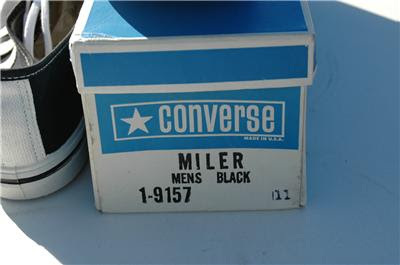 These were track and field or running shoes that went by the name of Miler. So next time you see a vintage picture of someone running in track events and see three stripes don't automatically assume they're wearing Adidas. 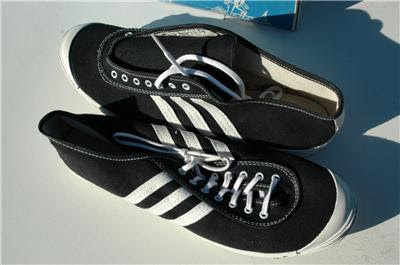 Especially if you're looking at photos of Americans you might just be seeing Converse shoes with three stripes like these. That's it for today, I hope you enjoy these rare Converse shoes I know I have enjoyed showing them. 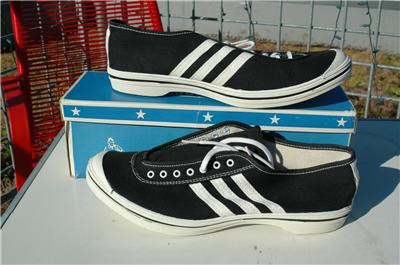 If you know anymore about these shoes please contact me or leave feedback on the site, I'd really like to know more. Also please take a few seconds on cast a vote in the poll at the top of the page, it's good practice for the primary elections. I can't believe I found these... 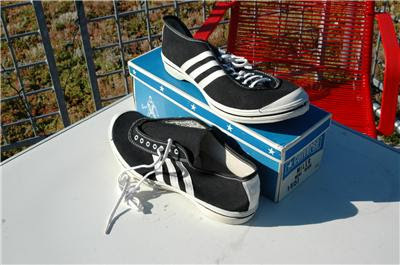 I wore that style in 1972 for a track meet when I was in 5th grade in Hallsville TX - these were the "fashionable" tennys of our time. I think there was another company who made a generic style.... WOW I am impressed - Thanks for holding on to history!